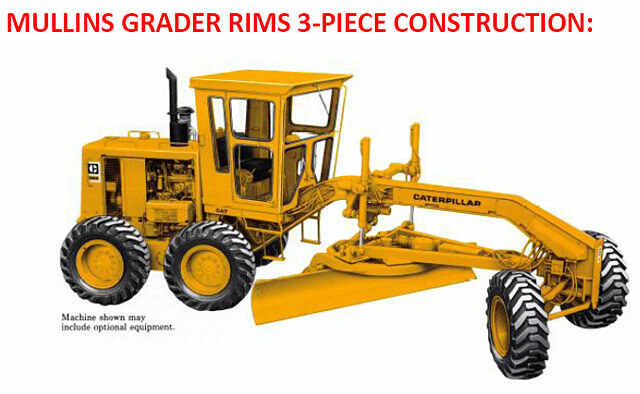 Three Piece Flat Base Tubeless Grader Rims are ideal for use on graders, front end loaders and other machines requiring greater inside clearances for heavy duty hubs. Mullins Wheels have popular 3 & 5 Piece rims sections available and they also have complete wheels in popular fitments which are ready to ship, off the shelf. Mullins Wheels can also manufacture a wheel or rim for you which is identical to the original wheel on your machine.